Place all hot chocolate fudge sauce ingredients, except half and half cream, in a small sauce pan. Pour half and half cream into a microwave-safe bowl and heat for 75-90 seconds, until very hot. Immediately pour hot half and half into the sauce pan and whisk until combined. Heat saucepan mixture until it thickens over low heat for about 5 minutes. Stir frequently to ensure chocolate does not burn. 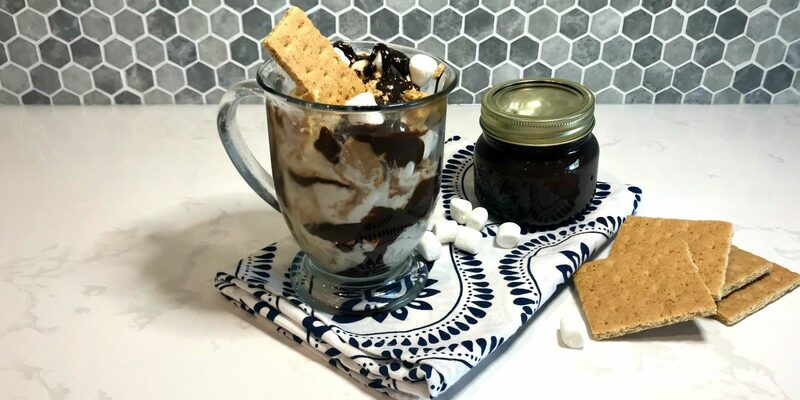 Layer ice cream, graham crackers, mini marshmallows, and hot fudge sauce in a small bowl. Sauce can be kept for up to one week in the fridge. To reheat, warm for about 15 seconds in the microwave.